Pictured are from left Justice Nelukalo (Centre Manager), Chane Venter (Cashier), Frans Phelembe (Assistant Manager) & Robert Singo (Yard Supervisor). 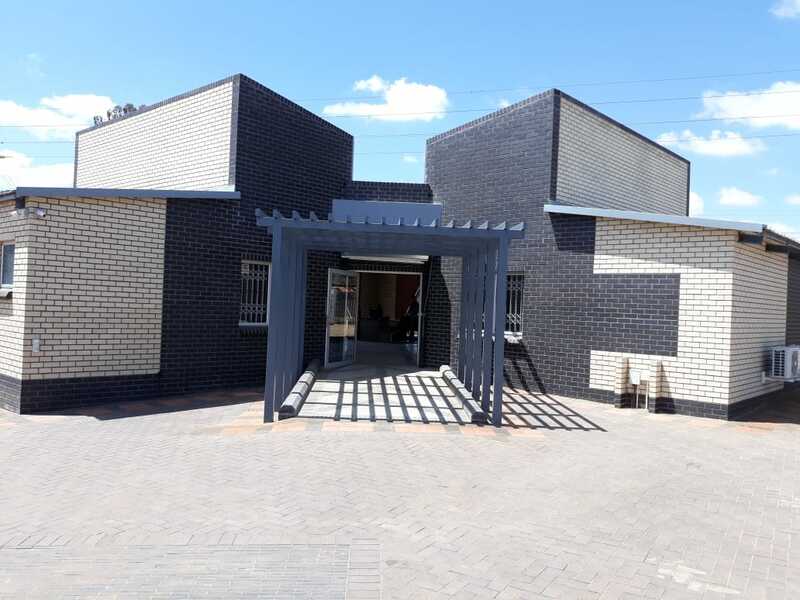 Growing demand for quality bricks and pavers in eastern Gauteng prompted the opening of the Corobrik Springs Centre, the 25th Corobrik sales’ centre to be opened countrywide. Customers and their families were welcomed to the site at 2 Tonk Meter Road for the official opening on 26 and 27 October. “This has been an extremely successful opening and we are really pleased with the warm reception the Springs community has afforded our new sales’ centre,” said Musa Shangase, Corobrik’s Commercial Director. Servicing all market segments – retail trade, contractors and developers among them – the Springs Centre has a stockholding capacity in excess of one million units. Although the location dictates there will be a strong paving focus, Springs Centre can also offer customers products sold at any of the national Corobrik factories. Welcoming customers through the newly constructed doors will be Corobrik Centre Manager, Justice Nelukalo. While new to the Corobrik family, Nelukalo has extensive experience in the building materials’ environment as well as strong retail management and new store opening experience. He will be overseeing six highly-trained staff members, all of whom have intimate knowledge of the Corobrik brand and its extensive product range. The Springs Centre itself reflects the incredible Corobrik product offerings. Constructed externally using the beautifully contrasting Black Brick and white-hued Agate Satin face brick, the internal aesthetics also incorporate a touch of the popular Roan Satin face brick range. Corobrik continues to grow in market demand because of the quality products, technical expertise, logistic capability, follow-up service and overall customer support. The face brick and paver ranges boast a number of structural benefits that see them a priority material for the construction of medical facilities, schools, commercial and residential developments nationwide.